The new Kindle Paperwhite ebook reader from Amazon is an impressive piece of kit. It allows you to read in bright sunlight or pitch darkness, thanks to its no glare screen and its internal light source. It also sports a new white display, more pixels per inch (PPI), higher resolution and sharper contrast than any earlier version of the Kindle. It's an impressive piece of personal electronic gadgetry. In addition to providing you with a great reading experience, the Paperwhite might also give some idea as to how the ebook reader market may develop in the near future. The specially designed built-in light illuminates the screen evenly using a light-guide to produce a great reading experience in a variety of different reading conditions. As well as reading in the dark, you can use your Paperwhite in bright sunlight (or under bright, fluorescent lighting) without suffering from screen glare. The Paperwhite has 62% more pixels which provides superior resolution. High contrast for sharp, dark text. There are 6 new fonts, in 8 different sizes. Battery life between charges is 8 weeks – based on an average of thirty minute's daily reading. And that's with the light on. Dimensions are 6.7″ x 4.6″ x 0.36″ and the weight is just 7.5 oz for the Wi-Fi version and 7.8 oz for the 3G version. Charges fully in just 4 hours from a computer USB cable. 2GB internal memory (of which about 1.25GB is user accessible) provides sufficient onboard storage for up to 1,100 books. In the unlikely event that you need more storage, don't forget that Amazon provides free cloud storage for all your Amazon content. Download books in less than sixty seconds. Choose from Amazon’s huge collection of books. Over a million titles for less than $ 9.99 – plus more than 1.8 million out-of-copyright titles available as free downloads. There are currently 180,000 titles which are only available for the Kindle. New “Time-to-Read” function tells you how long it will take to finish your current chapter based upon your reading speed. Amazon Prime subscribers may choose to borrow one book a month chosen from the 180,000 books in the Kindle Owner’s Lending Library. These are free for Prime subscribers (limit one per month), and there are no due dates. The Kindle Paperwhite is certainly an impressive piece of electronic gadgetry. There's no doubt that it underlines Amazon's position as the market leader in the ebook reader market - and, in all probability, Amazon's claims that it is the most advanced ebook reader in the world are probably well founded (if somewhat brazen). However, what is, in my opinion at least, just as interesting as the technical aspects, as the potential clues that there may be a subtle change in the way the ebook reader market is heading. When the first Kindle launched, way back in November of 2007, it sold for $ 399. As is normal with new electronic gadgets, there was a strong downward trend in price, partly driven by economy of scale as sales volumes increased, partly driven by competition from other manufacturers. The current entry level Kindle costs just $ 69. The Kindle Touch, which the Paperwhite replaces, started at $ 99. The Paperwhite starts at $ 119. That price may fall in future of course, but for the moment at least, it looks like the plan is to provide more additional features rather than to keep dropping the price. That's not so different to the notebook computer market. Prices fell rapidly in the early stages of market development - but now, new models tend to be at or around the same price level as the model being replaced - but with enhanced features. 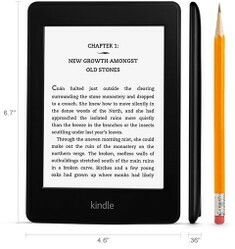 The Kindle Paperwhite has 2GB of memory, of which 1.25 GB can be accessed by the user. That is enough for up to 1,100 Kindle books - but somewhat lower than the 4GB of the Kindle Touch and the Kindle Keyboard. Nevertheless, it should be more than enough for the average user. Why would anyone want to pay more for the option to carry 3,600 books instead of 1,100 - especially when you have free cloud storage anyway? The original Kindles all had the facility to play mp3 files and audio books. However, not many people actually made use of this. It's gone in the Paperwhite. Why put costs up for features that aren't seen as being particularly worthwhile? The Paperwhite is a great piece of kit. It confirms Amazon as the market leader (by a country mile) in the ebook reader sector. Some of the features will be welcomed by many, others are less universally desirable. Many people will be happy enough to turn on the bedside light rather than paying extra for an in-built light source for example. If you find yourself in that category, then you might be content to save yourself $ 50 and buy the entry level Kindle 4. The key thing is that you have the choice. 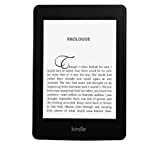 Whether you are interested in the basic entry level type of reader or you are happy to pay a little extra for the all singing, all dancing, feature laden edition, the signs seem to be there that the ebook reader market is maturing. Prices may have fallen as low, or close to as low, as they are likely to. Future readers may be at the same price as your current model - but with added features and functionality. Hi Ologsinquito - it's definitely on my Christmas wish list this year - and I'm sure plenty of other people will have it on their list! This looks like it would make a nice Christmas present for someone. Hi Mike, The Paperwhite is a great reader. I'm sure it will serve you well. I've been thinking about the Paperwhite too. Nice and helpful review. The Kindle, either the Paperwhite reader or the Fire HD tablet is a great choice Mira. If you read a lot, I would go for the Paperwhite. The tablets are good, but not ideal for reading on for long periods. I've been tempted by the Paperwhite for quite a while now. After reading your review, I might just go ahead and buy it. Although, I don't know... I might go for a sleeker tablet instead. Why would you say I should still buy the Kindle? I like this new kindle paperwhite with the advanced e-reader and the technical reviews you mentioned in it very helpful to us at the time of buy.Thank you, that’s very interesting information. I need to share with my friends.